Mercantile is a powerful and advanced theme for WordPress that contains all the features you could ever need for your website. 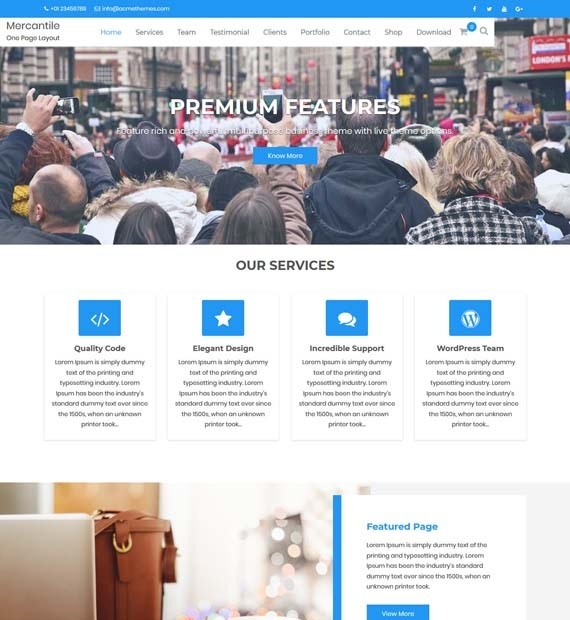 This amazing free theme offers WordPress live customizer, custom CSS, advanced custom widgets, WooCommerce compatibility, and more. You can also display your responsive site with one-page or multi-page layout with this theme. It also allows you to easily include sections for testimonials, contact information, and portfolio, just to name a few. With Mercantile, you can easily build your dream website whether it is for business, personal blog, magazine, or anything else.